Develop a new brand and identity for Ti Ora, a New Zealand based tea brand, that was recently acquired by JAB Holdings. This rebrand would help push the brand into the global market as part of the growing JAB portfolio of premium food and beverage brands. Develop brand persona and guidelines for brand voice and tone. Develop a content strategy to direct copywriting and content going forward. 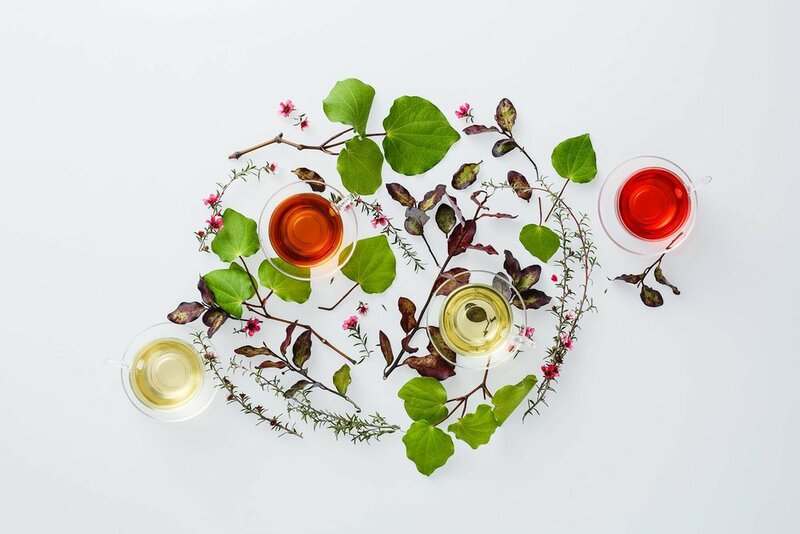 Ti Ora is a unique tea brand that required a careful look at the product and the market to develop an identity that would resonate with consumers. The brand itself is focused on wellness, with a variety of ingredients sourced from Maori traditional medicine. This key differentiator provided a clear route to develop a brand identity that put authenticity, purity, and natural ingredients at the forefront. To fully articulate the identity of the Ti Ora brand, we researched the identity of New Zealand. The culture of New Zealand also has an inherent appreciation for and deep connection to the natural world, as well as a casual, easy humor, and a set of values that puts freedom and leisure ahead of material things. These traits would be adopted in the identity of Ti Ora. To create global appeal for Ti Ora we had to go beyond that connection to New Zealand natural environment, and generalize the identity. As consumers want more natural ingredients around the world, we positioned the Ti Ora identity to emphasize its unspoiled, innocent, natural qualities. To get this right we researched science that proved that exposure to nature was beneficial for people's health. We researched the origins and philosophy of the natural food movement dating back to the German Lebensreform movement of the 1830s. We researched the aesthetics of natural food and tied it to the whole-leaf presentation of the spacious sachets used by Ti Ora. These sources were compiled into a cohesive brand identity and several branding documents including a brand book, style guide, and identity documents.